The answers to each question are pairs of cities. You must name BOTH cities (in no particular order). In each case, the two cities appear together on one of the 30 destination cards in the original Ticket to Ride board game. These two cities hosted the Winter Olympics 14 years apart. These two cities were home (at the time) to the NFL teams for which the rookies pictured here squared off in a November 1987 Monday Night Football game. The guy on the right scored three touchdowns, owning the guy on the left twice in the process. Teams from these two cities were in Major League Baseball's last great pennant race in 1993. One team won 104 games and made the playoffs, the other won 103 games and went home. Teams from these two cities played in the first Division Series to reach a 5th game. Part of the home radio call for the final play of that game: "Swung on and lined down the left field line for a base hit! Here comes Joey! Here is Junior to third base! They're gonna wave him in! The throw to the plate will be late! [One sentence redacted.] I don't believe it! It just continues! My, oh my!" 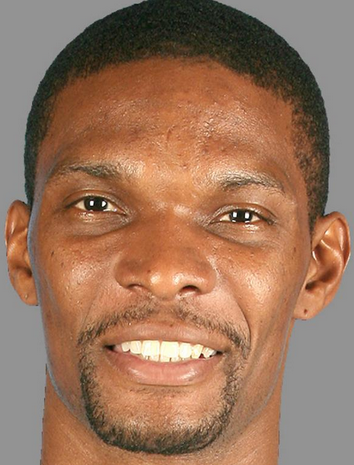 These two cities are the two stops (so far) in the NBA career of the nine-time all-star pictured here, who played college ball at Georgia Tech. 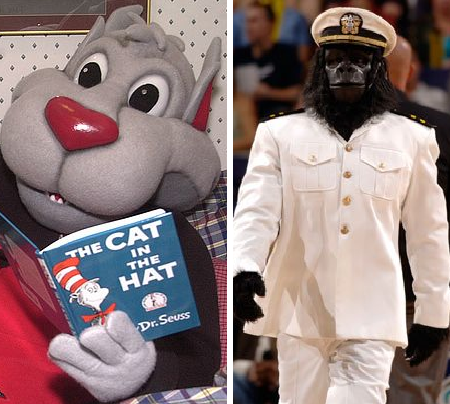 These two cities are home to the NBA mascots pictured here, even though neither team nickname is feline or simian. Teams from these two cities won five of the seven Avco Cups, the championship trophy of the World Hockey Association. Teams from these two cities each won exactly one Stanley Cup in the ten-year span from 1994 to 2003. Mike Keenan and Ken Hitchcock coached those championship teams. Three other NHL franchises each won multiple Stanley Cups within that span. These two cities were home (at the time) to the teams that won the first two World Team Tennis championships. The Racquets (Françoise Dürr and others) beat the Philadelphia Freedoms in the first WTT final, then relocated to Phoenix. The Triangles (Vitas Gerulaitis and others) beat the San Francisco Golden Gaters in the 1975 final but folded a year later. These two cities are home to soccer teams with two notable MLS Cup distinctions: One such team plays at Sporting Park and is the only team other than the Los Angeles Galaxy to win the cup since 2011; the other plays at BBVA Compass Stadium and is the only 21st century repeat champion other than the Galaxy (winning in 2006 and 2007).